Wow! What a great idea! No one should miss the prom because they can't afford a nice dress. Today has been a day for me to reflect on my blessings in having never suffered such financial hardships. Earlier, I was reading about the United Way's Hunger Challenge. Then I read about the girl that they pulled from the rubble in Haiti after everyone had given up of finding anymore survivors. It puts my own petty problems in perspective (the alliteration was not intentional). aww, you were cuteness. I never was able to attend my prom. I was too much of a geek way back then. Prom is an important part of many girls lives. It would be a shame if one of the girls really wanted to go and couldn't attend because of finances. Aw...you look so cute. I loved my one and only prom. I made sure my daughter went to all of them. That is amazing! I absolutely love it :) We had something like that where I grew up in Ohio. I think it's an amazing thing. What a great thing you did! You should be very proud of that. How amazing. You should be so proud! Wow, what a wonderful thing you started! 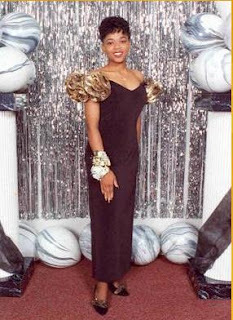 I never went to prom but I wasn't interested in going. What a wonderful organization! Kudos to you! You looked awesome at prom!